At Forest City Companies, we specialize in providing specialty and custom packaging solutions for a broad range of applications. For aerospace products we design and manufacture custom crating systems that can protect delicate parts from damage. In this example the customer asked us to design a crating solution that could replace their existing card board packaging, which had failed to protect their high value aerospace cargo from damage. They were reluctant to use wood due to a common misperception that it would cause the same issues that they were already experiencing. Leveraging our engineering design and construction expertise, our team manufactured a new crate with overall part dimensions of 140" x 70" x 34"; featuring tolerances as tight as + 1/8". Referring to real world examples, we helped them understand how the proper combination of lumber, plywood, foam, and cardboard could replace their original design. The inside of our wood crate system was thoroughly lined with cardboard and foam that protected against mishandling, vibration, and shock from transport. 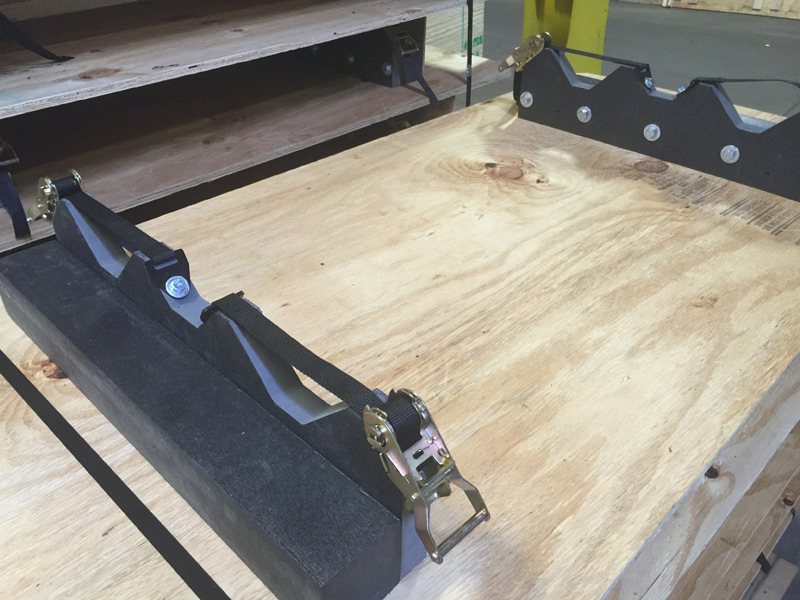 We employed saws, nail guns, and hot glue guns to assemble each crate according to ISPM-15 standards. All of our work was subjected to a series of in-process testing that conformed to our internal quality guidelines. 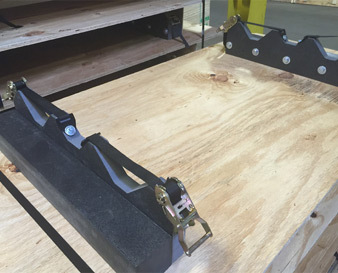 Our design, sales, and production staff worked together to build a crate solution that provided enhanced protection and kept our customer's costs low. They were extremely happy with the results and did not experience any damage to their parts once our crates were deployed. We produced a total of 15 pieces within a turnaround time of 1 week. To learn more about our custom crating solutions, please contact us directly or refer to the table below. 140" x 70" x 34"